Okay, not really dropping the paint and paintbrushes, but Snapchat is getting a lot of artists' attention. 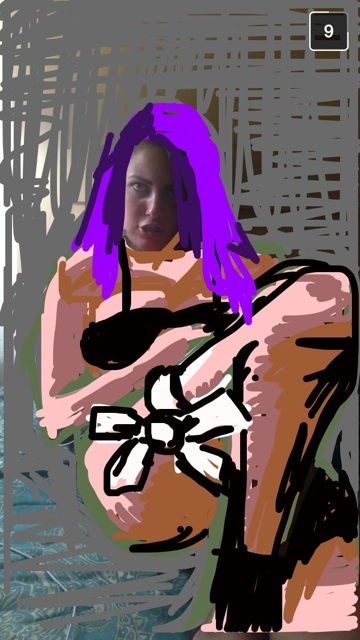 Katie, a figure painter, claims that Snapchat is her "newest medium." As an painter myself, I've done less paintings since I discovered drawing on Snapchat! Check out this artist's snaps below and be sure to follow her Instagram for the latest Snapsterpieces and traditional figure drawings. I am a figure painter, but lately Snapchat has become my newest medium! I have recently graduated art school with a degree in painting and art history. While traditional oil paint has its pros, I finally feel like I have found my calling. Snapchat and I were destined to be together. Everything I have worked has led me to this point in my life. It is time to let the world see my Snapchat creations.